New Delhi (Sputnik) – Pakistani cop Gulab Singh was allegedly humiliated by the Pakistani forces who forcibly evicted him from his house in Dera Chahal village near Lahore, news reports suggest. 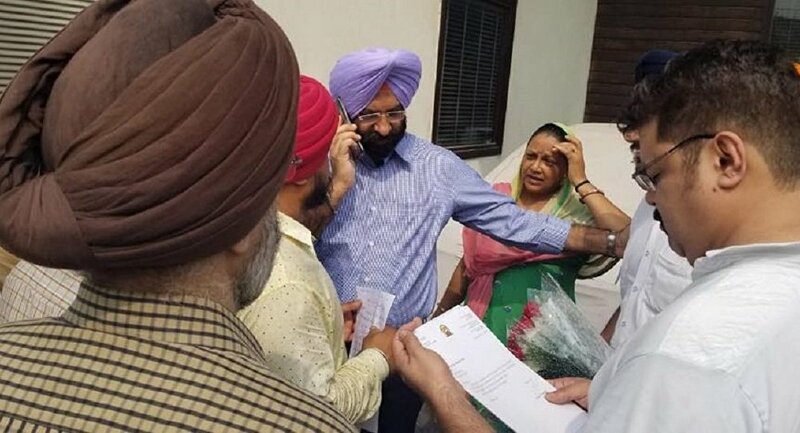 Gulab Singh alleged that his turban (headgear worn by male members of the Sikh religious community) was forced open and hair untied by the officials who came to evict him from his ancestral home. Manjinder Singh Sirsa, Member of Delhi Legislative Assembly and Spokesperson of Shiromani Akali Dal (SAD), has condemned the incident. "We will approach to the Pakistan government through our government to look into the matter. Sikhs are not safe in Pakistan and I appeal to the Pakistani Prime Minister to ensure safety and security of Sikh community in Pakistan,"Manjinder Singh Sirsa told Sputnik. ​ "Even in 1947 we Sikhs did not leave Pakistan but now we are being forced to do so," Gulab Singh was quoted by the ANI. According to media reports, Gulab Singh was evicted by the Pakistan Evacuee Trust Property Board due to a property dispute but Gulab Singh has alleged that the Pakistani authorities disrespected his faith and ousted from his house despite having court stay order. Gulab Singh was appointed as the first Sikh police officer in the Pakistan police in 2006.